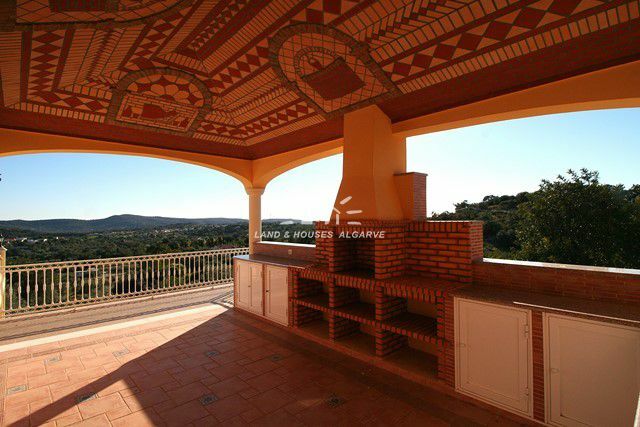 This large imposing country villa is set close to Loule and has fantastic views over the countryside and out to sea. On the ground floor the property has a very grand entrance hall, a fully fitted and equipped kitchen, a pantry, a dining room, a living room with a wood burning stove, a cloakroom, 2 bedrooms and 1 bathroom. 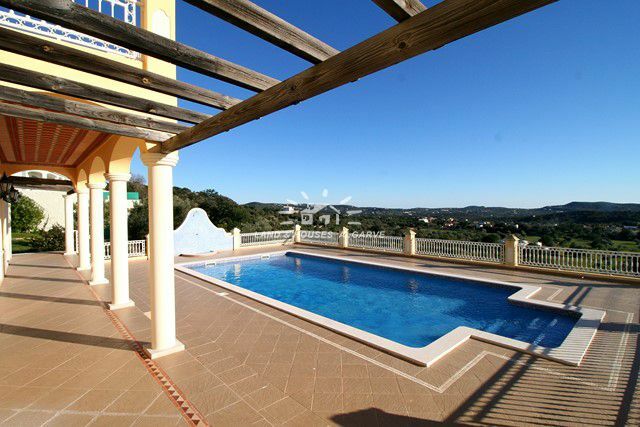 The upper floor of the property has 3 en suite bedrooms with access on to the large terrace overlooking the pool and the surrounding countryside and out to sea. The large basement has a bar, a games room, a fitness room, a utility room and an additional bedroom and bathroom. There is also a separate double garage. 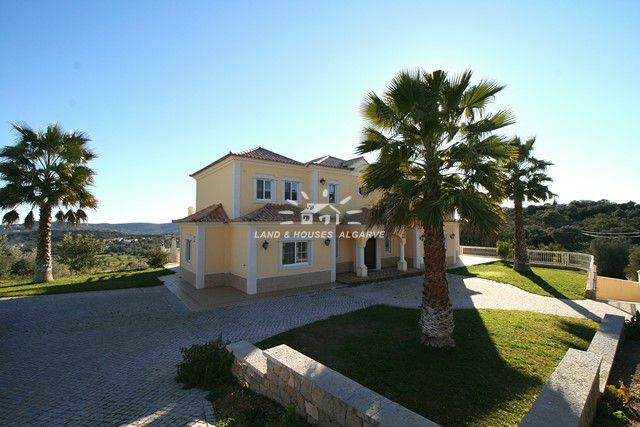 The property has gas (tank deposit) under floor heating, solar panels for domestic hot water, an alarm, satellite TV, sound system, electric shutters and double glazing, borehole water and a water softener. 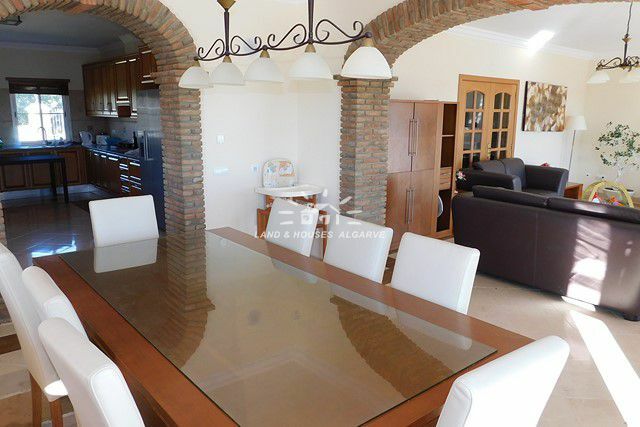 The villa also has automatic entrance gates, a calcada driveway, a landscaped garden, a chlorine pool and a very inviting covered BBQ for al fresco dining. 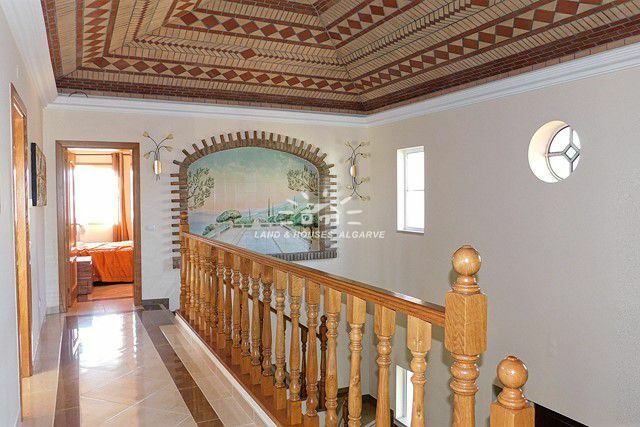 This is a grand property in a very peaceful country location.